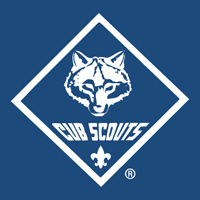 Boys and girls currently in grades kindergarten through 5th grade are welcome to join Pack 88. Older youth may join our companion unit, Troop 172. Youth can register with our unit using the BSA’s online registration or by paper application. Online registration is the preferred method. When applying online, you will have the option to subscribe to Boy’s Life Magazine. Do not select this option! Our pack pays for Boy’s Life for all members and we will add this for you after the application is processed. Annual membership is $38.00 for January through December and includes membership and a subscription to Boys Life Magazine. Members applying throughout the year will be charged a prorated amount for each month remaining in the year. Membership fees for the following year are collected in October and November during the Council’s annual re-charter process. The pack will provide one den specific handbooks per year. Additional or replacement books are approximately $12.99. If uniform requirements are a concern, please talk to us. We would rather have a kids in scouting than an empty uniform. Pack T-Shirts are available for purchase at any time. Cost is $13.50 and we typically have all sizes child small through adult 2XL in stock. Occasionally special orders of long sleeve shirts and sweatshirts will be available. Summer camp fees vary from year to year and are published in the spring. It can be assumed that the non-discounted fees will be in the $270 to $300 range. Scouts will have the opportunity to reduce the cost of camp by participating in fundraisers throughout the year.